Aadhaar: The next best thing after the cell phone? Ask anyone which recent technological innovation has had the biggest impact on human lives and you are, more often than not, likely to get “cell phone” as the answer. But what comes second? E-commerce? Despite the billions being invested there, I’d say no and argue for Aadhaar. The unique biometric identification is not often discussed in venture boardrooms and it does not show up on billboards in major metros. But with 82 crore users, and growing at 2 crore per month, Aadhaar promises to enable access to banking, insurance, commerce and other modern-day facilities to a vast majority of India’s population. It was a mammoth challenge that Nandan Nilekani, chairman of the Unique Identification Authority of India (UIDAI), which is responsible for the Aadhaar project, and his team of experts took on. Since its launch in 2009, UIDAI has come a long way with multiple public distribution schemes successfully launched across the country by the government and partner organisations, for the over 82 crore citizens already enrolled on the platform. 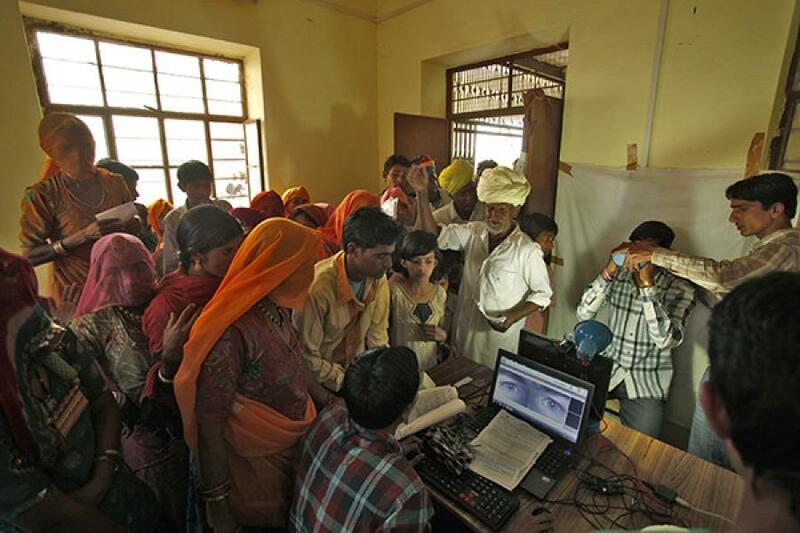 Most people view Aadhaar as yet another ID and don’t recognise the value of the platform. Many entrepreneurs, however, have recognised the power of the Aadhaar platform and are building interesting businesses to leverage it. Over 900 entrepreneurs applied for 100 seats at an Aadhaar ‘hackathon’ we, at Unitus Seed Fund, recently sponsored along with Khosla Labs in Bengaluru. This is a clear indication of the excitement around the opportunity. Why is Aadhaar interesting? Let’s consider one application. Indian cities are far from being two-wheeler paradises. The growing population is compounding the traffic problem leading to dangerously high levels of air pollution. Not too far in the future, though, one can rent a bicycle from anywhere in the city and return them to booths anywhere else in the city, thanks to a startup attempting to make our cities more liveable. To implement this idea, the team intends to leverage Aadhaar’s biometric authentication at rental booths to authenticate the user and to tag the rental. The concept of bicycle renting is not new to India. But the vision of the team to use Aadhaar’s secure identity to reduce costs and increase margins is commendable. Likewise, train travel in India is an area ripe for improvement. IRCTC (Indian Railway Catering and Tourism Corporation) is doing a great deal to make ticket booking and confirmations easier. But after many untold rupees invested, there are still monetary leakages in the system and the process is still cumbersome for travellers, especially if you have a waitlisted or an RAC (Reservation After Cancellation) ticket. An Aadhaar-based application for the TTE (Travelling Ticket Examiner) will allow for easier passenger ID confirmation, quicker allotment of RAC tickets, more transparency and little or no leakage of revenues from the system. A host of applications that involve verifying a person’s identity, background and address can use Aadhaar. For example, as we see more intelligent tagging of data using the Aadhaar ID, police departments can extend this data to include cases recorded against an individual, employers and academic institutions can tag employees or students with their experience and credentials and credit history. All these applications are built around this single, secure ID. Leveraging the Aadhaar platform enables quicker, paperless transactions across multiple government-run schemes. An idea called ‘Udhaar with Aadhaar’ (or loans with Aadhaar), is an effort aimed at making personal, vehicle and other loan processing more efficient, thereby cutting down the time for approval from months to minutes. More loans, disbursed faster and accurately, mean more profits. While on the surface, it appears that Aadhaar is simply an ID card and the system is meant to enable basic authentication services. But, as more government and private institutions continue to build data around this platform, the value of the platform will only grow and the type of applications that it will enable will only be limited by the extent of one’s imagination. Early movers of the startup ecosystem are already on Aadhaar. If you are building a business for India’s large population, start by getting Aadhaar ready!